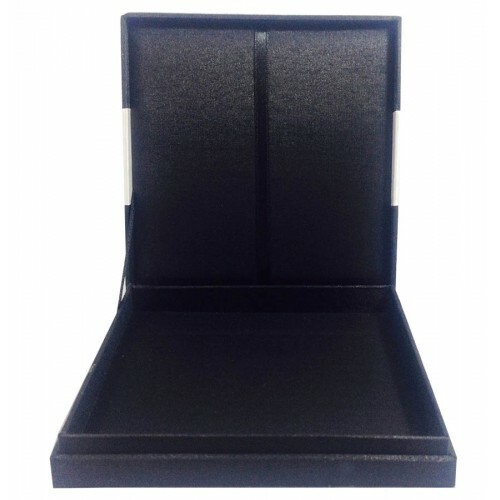 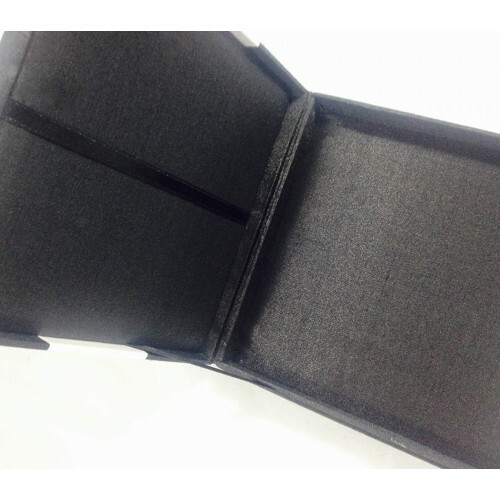 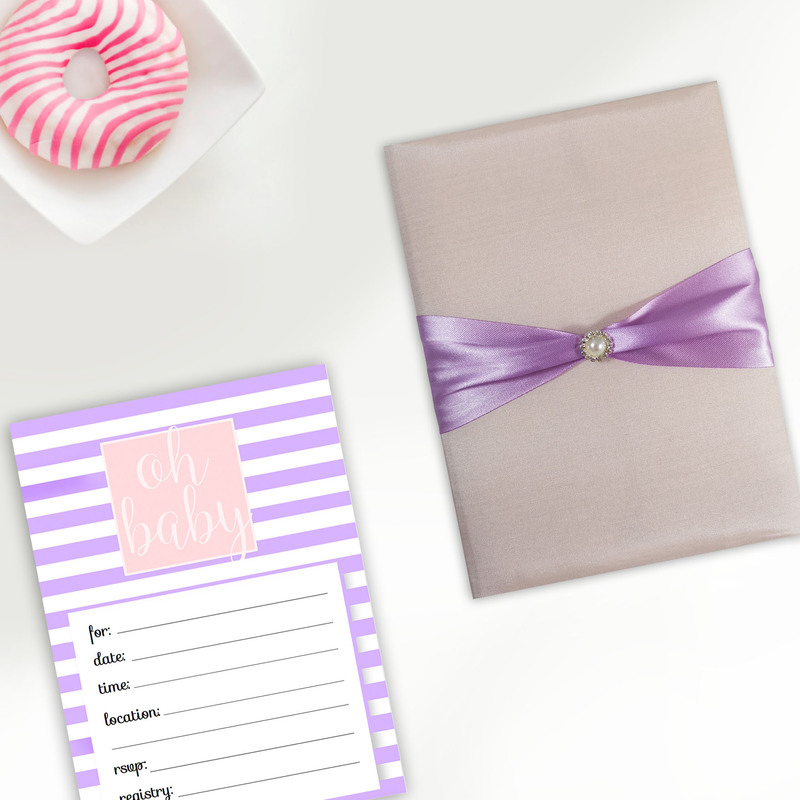 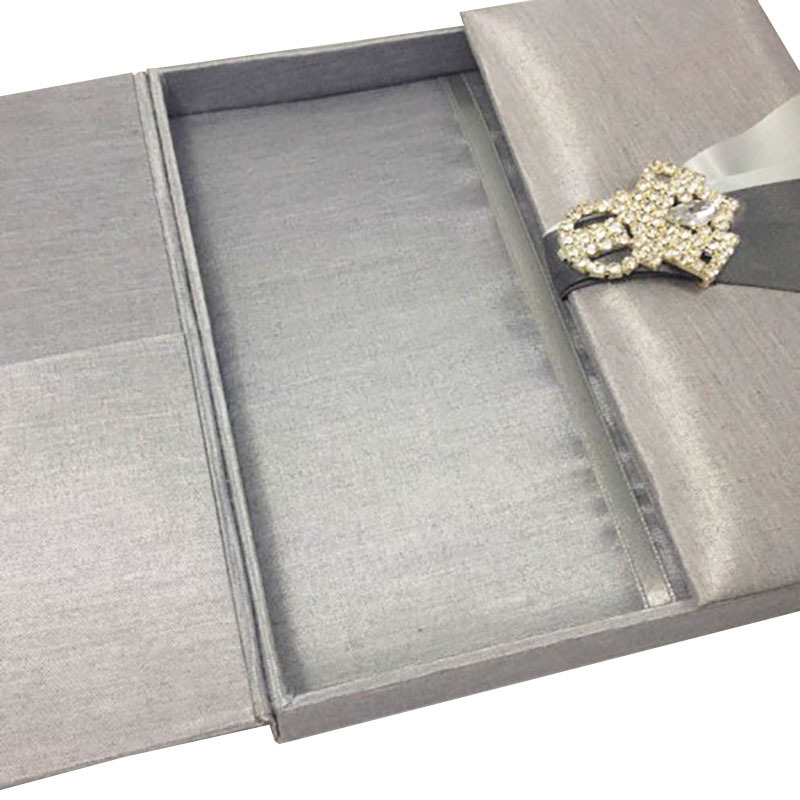 Wedding box design with pocket holder for cards. 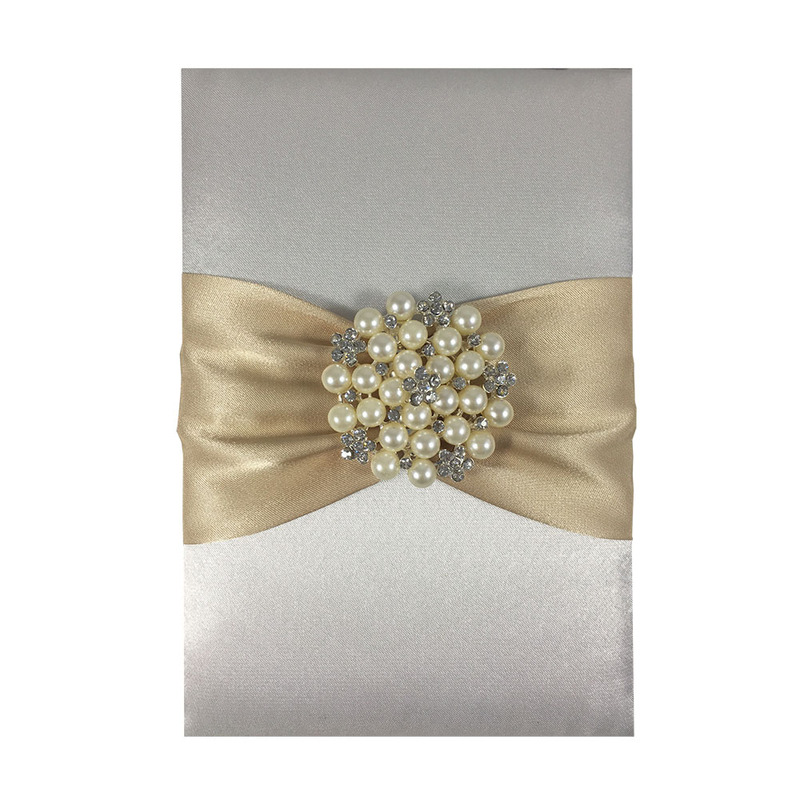 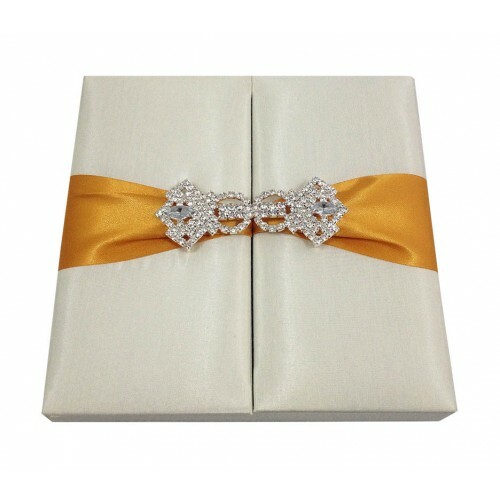 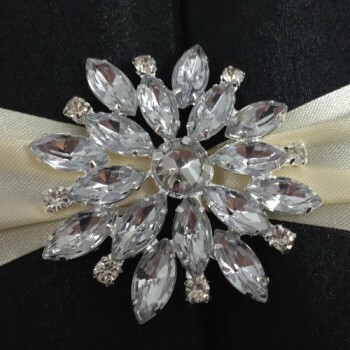 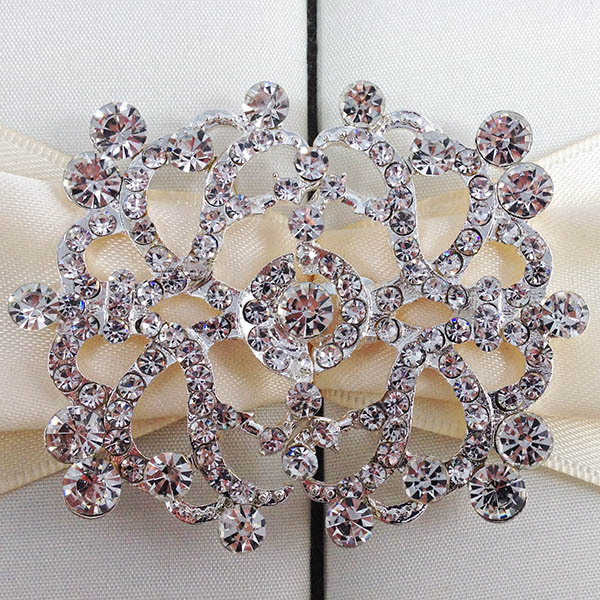 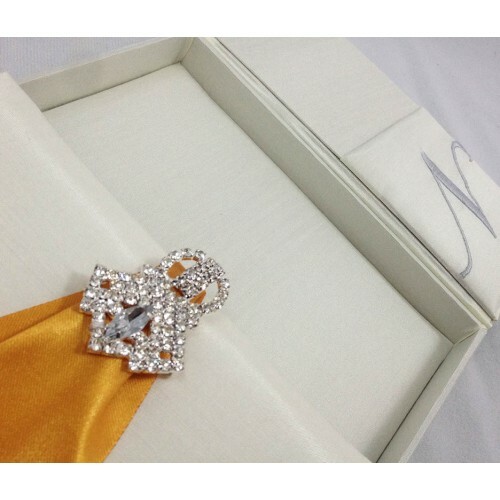 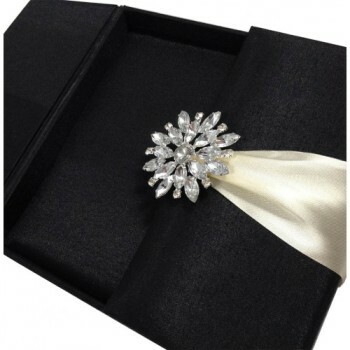 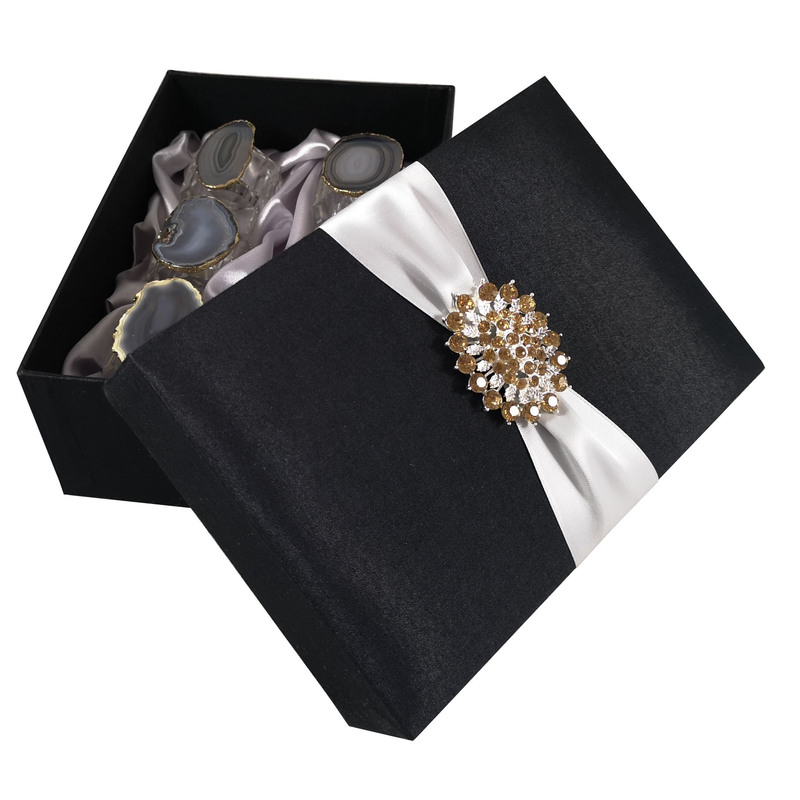 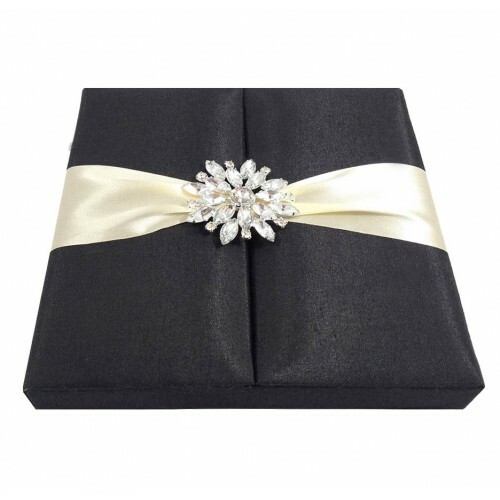 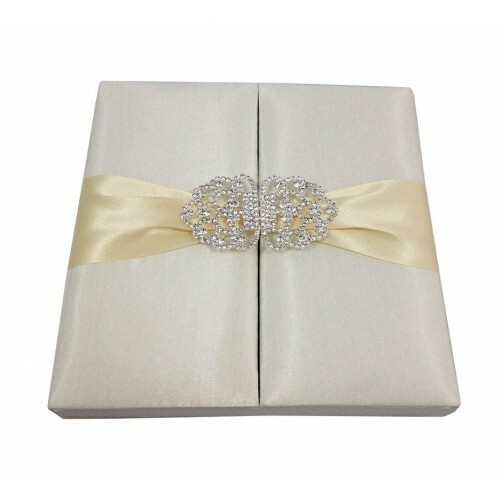 This box features a golden two inches wide satin silk ribbon and is embellished with our large peal brooch design. 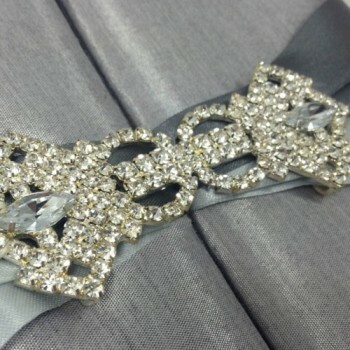 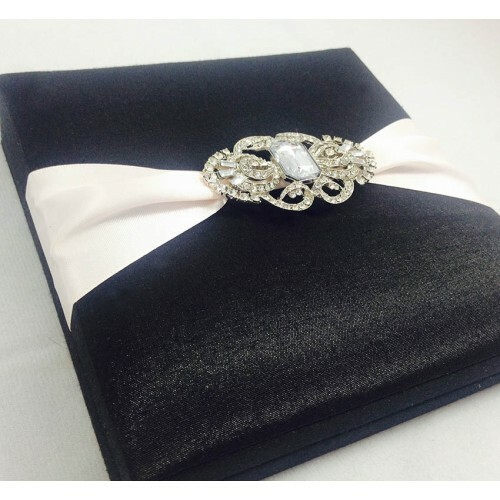 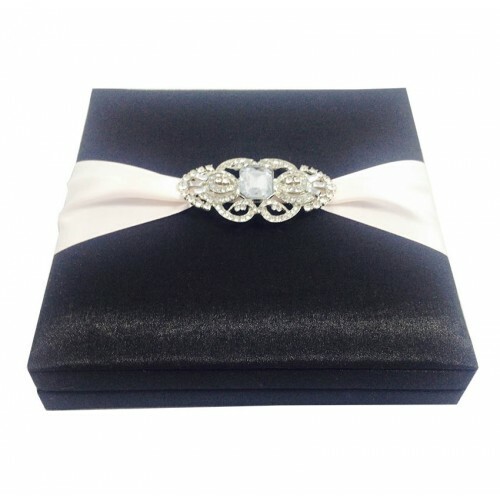 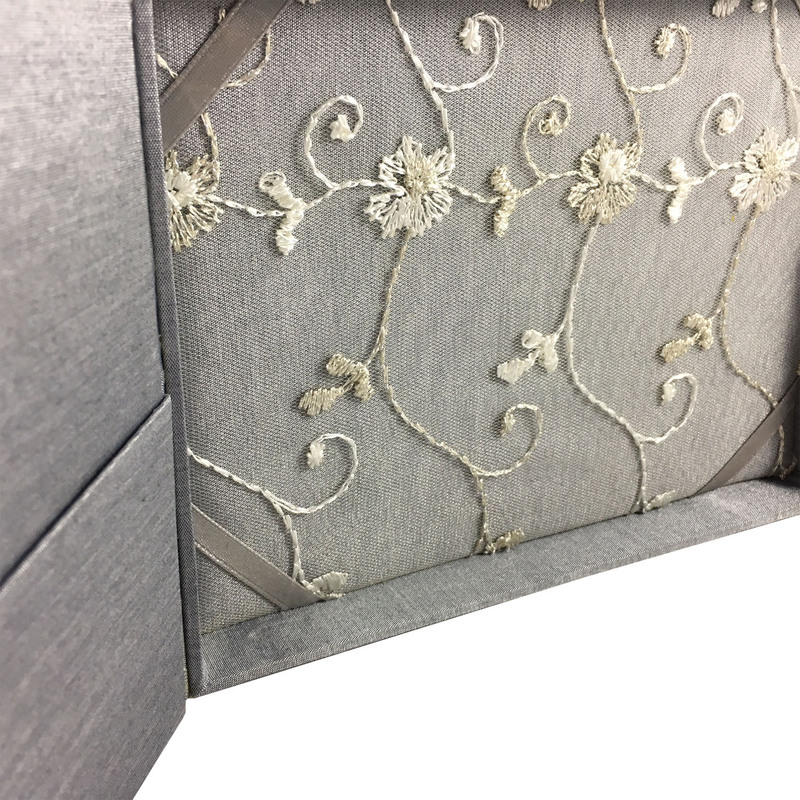 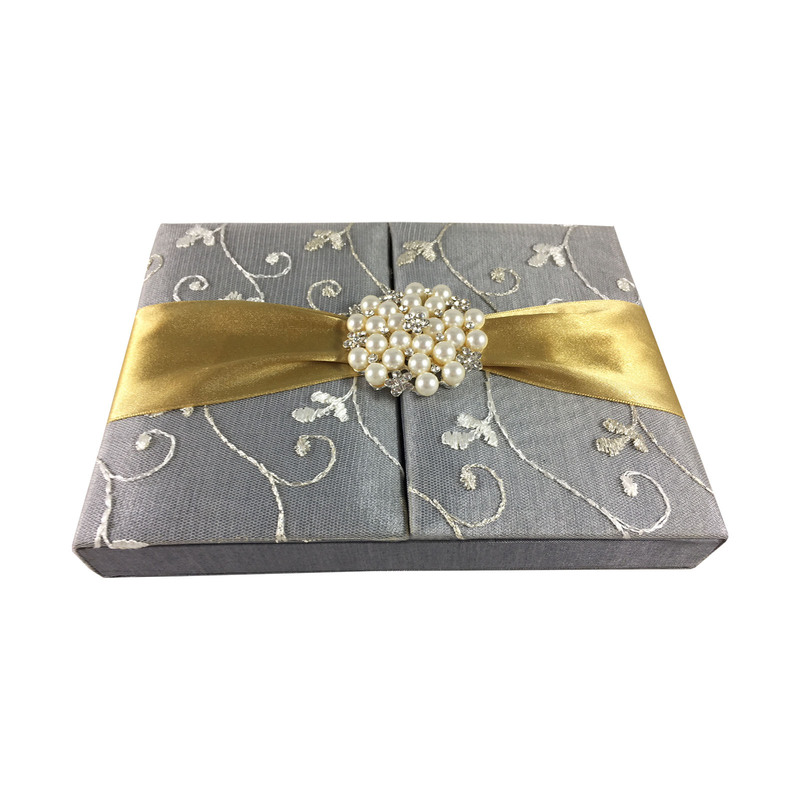 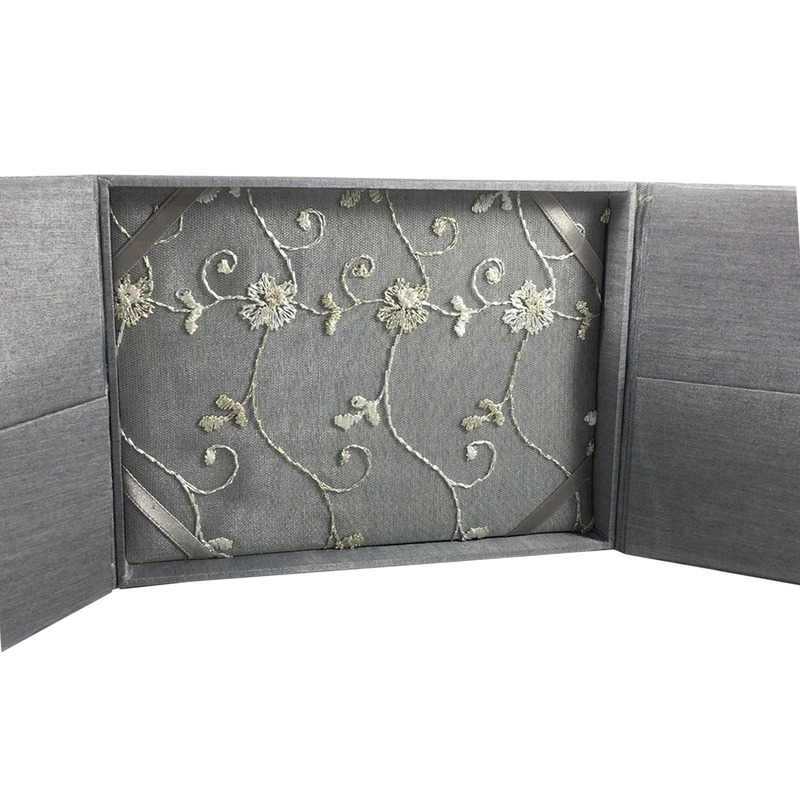 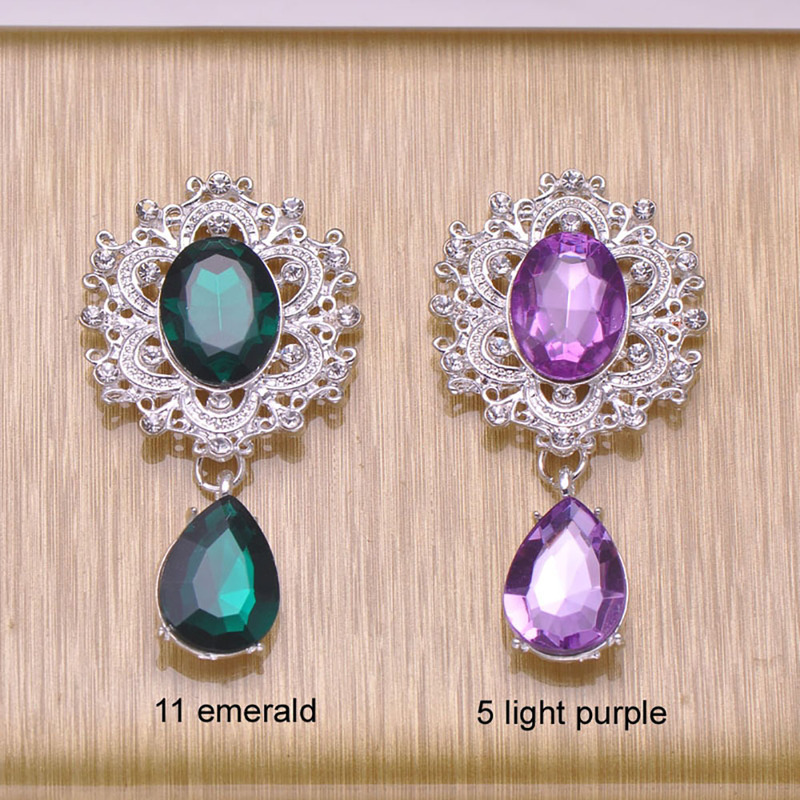 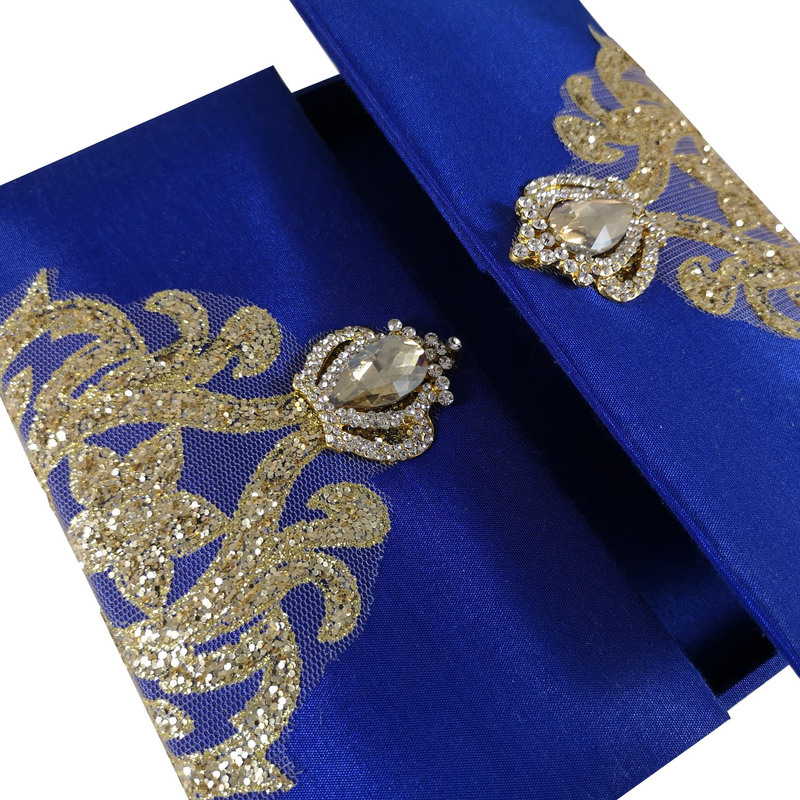 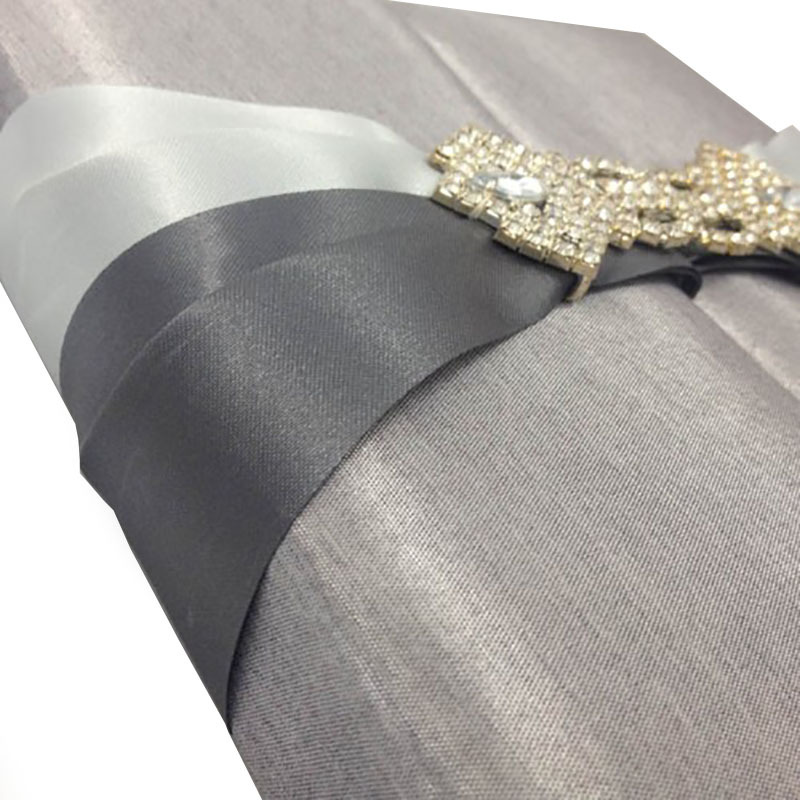 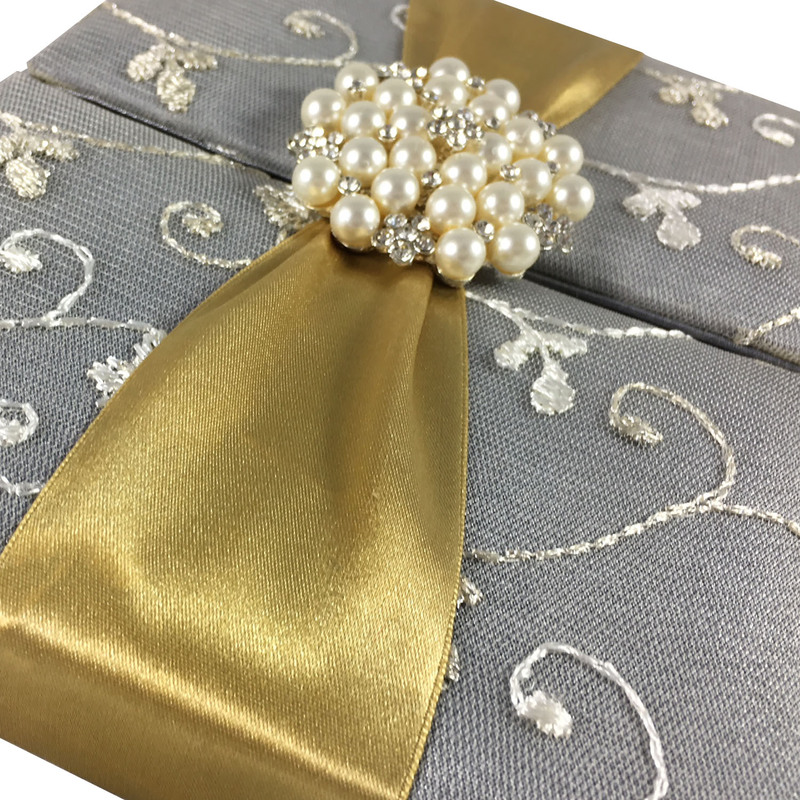 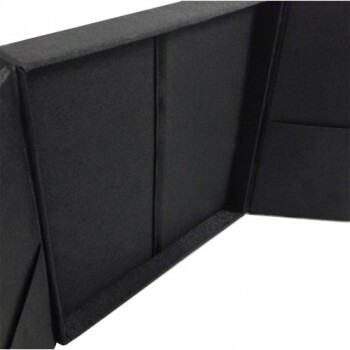 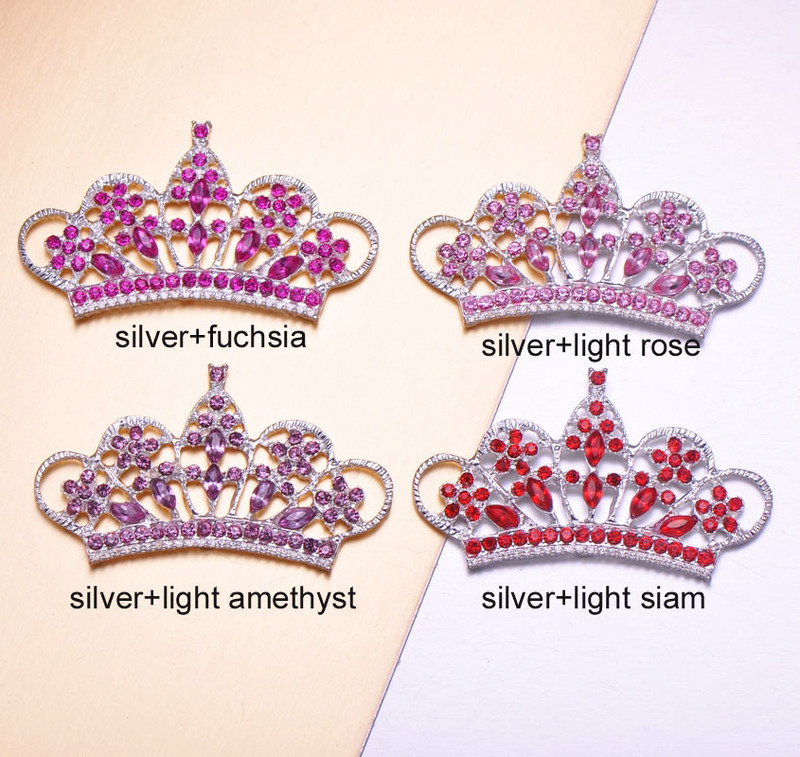 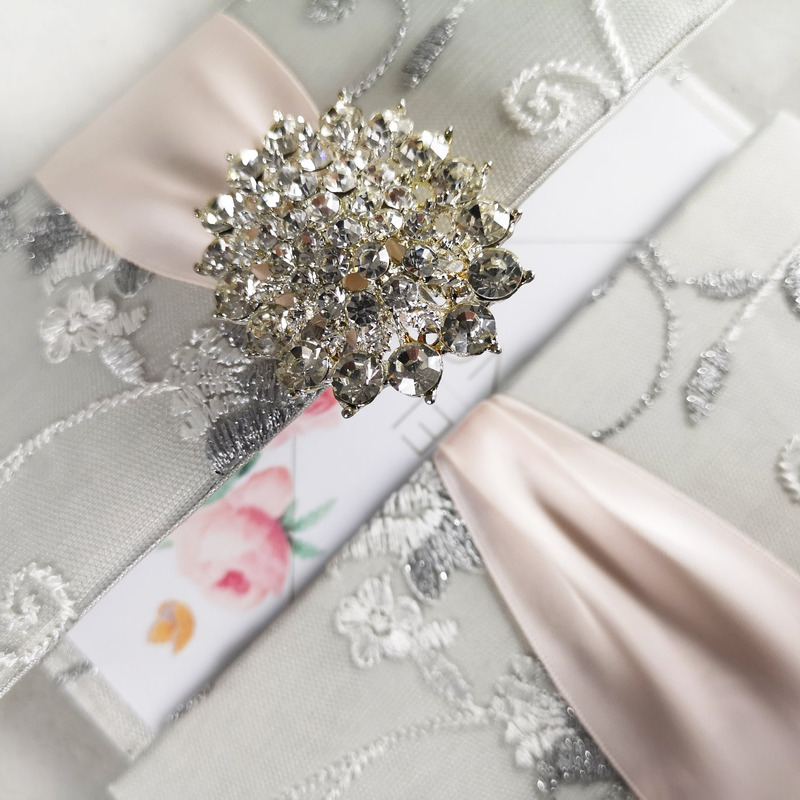 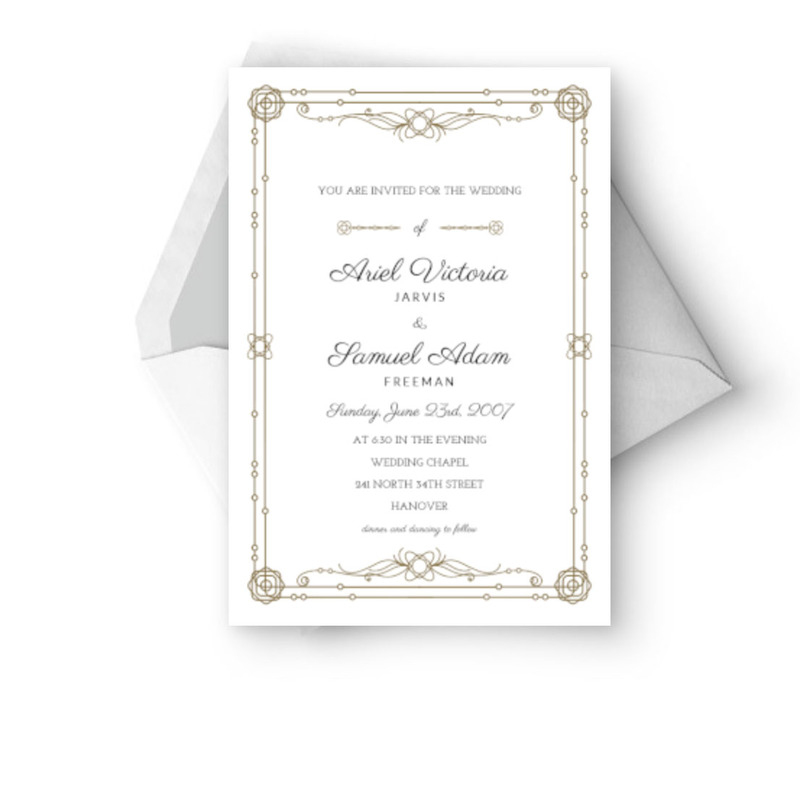 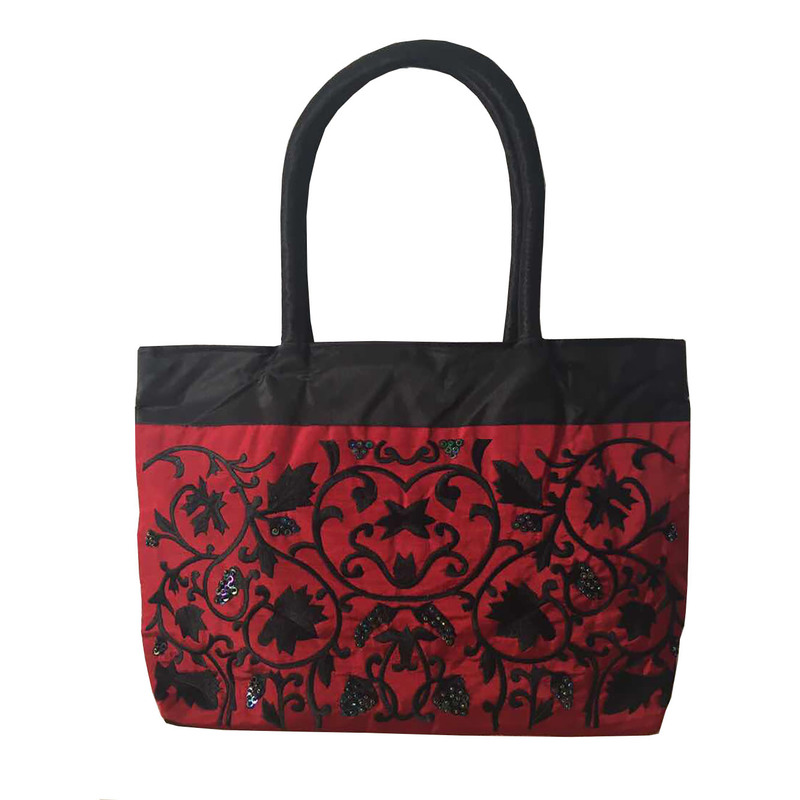 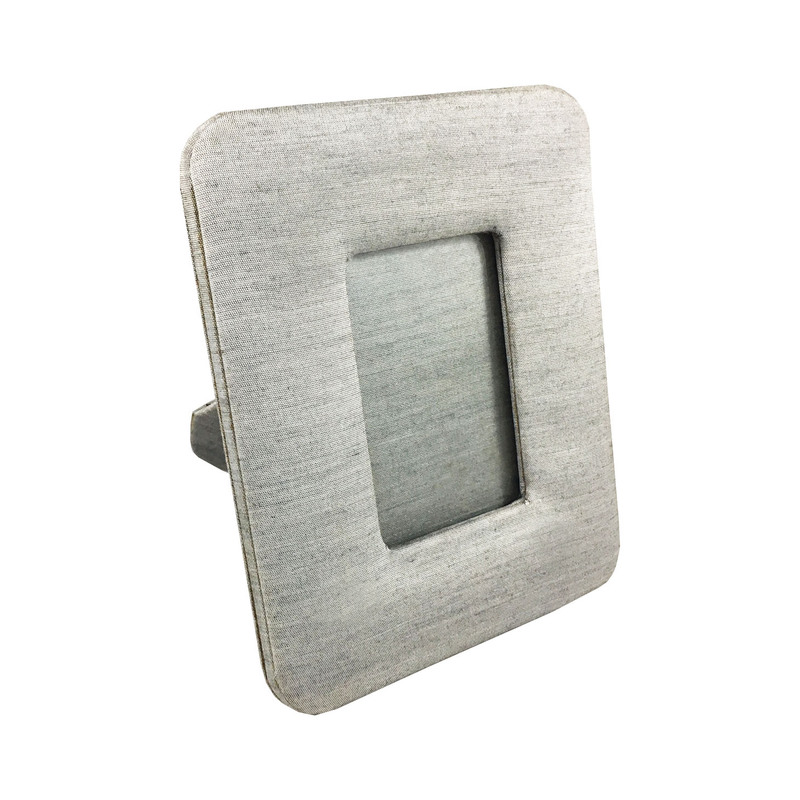 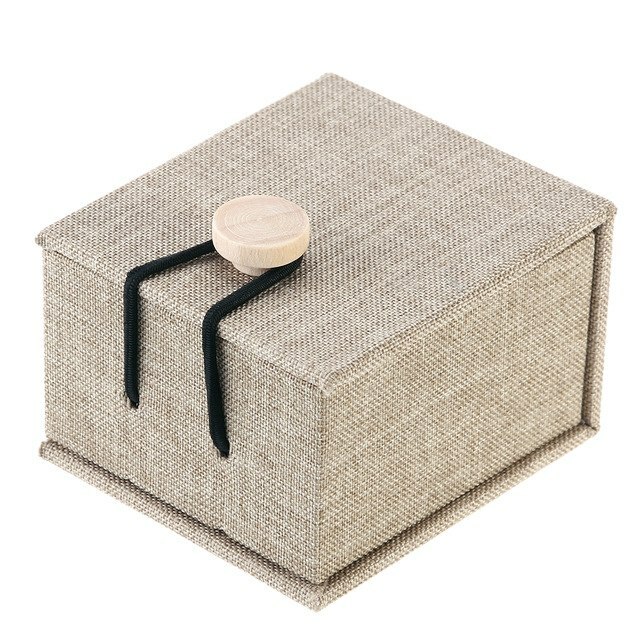 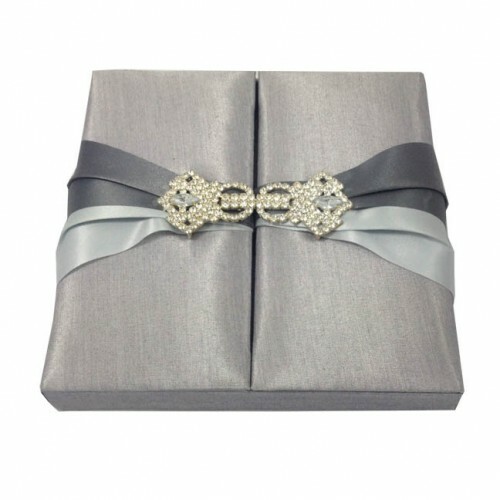 The box is manufactured with sturdy cardboard and then laminated with silk and covered with embroidered off white and silver lace fabric. 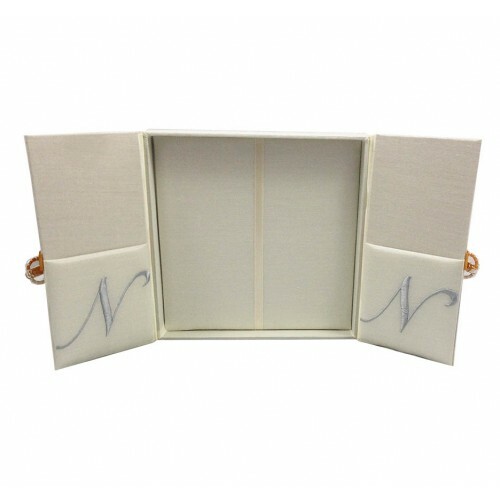 If needed we can craft this handmade invitation box design for you also in a different size or color.